No history of cinema would be complete without "The Rules of the Game". 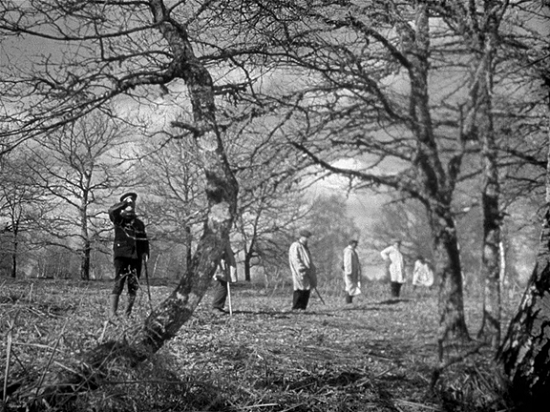 Director Jean Renoir's brilliant, perceptive study of a dying French aristocracy remains among the finest examples of visual poetry captured on film. Along with "Grand Illusion" (1937), "The Rules of the Game" represents the high-water mark of Renoir's career. It's as close to perfection as a film can get. On the surface, “The Rules of the Game” is a frivolous satire of the French ruling class during the interwar years. But beneath it, this 1939 film is a rather sweeping appraisal on human nature and how the rigidity of our society continues to undermine our humanity. With a microcosmic cast of characters that comprises of masters and servants, the film weaves an intricate plot about their love, jealousies, deceit, infidelities, hypocrisies, misunderstandings, and, at times, reconciliations, and realignments of friends and foes. Through their travails, the film depicts a symbolic breakdown, and ultimately restoration, of the prevailing social order, resulting in the film being both a comedy and a tragedy. 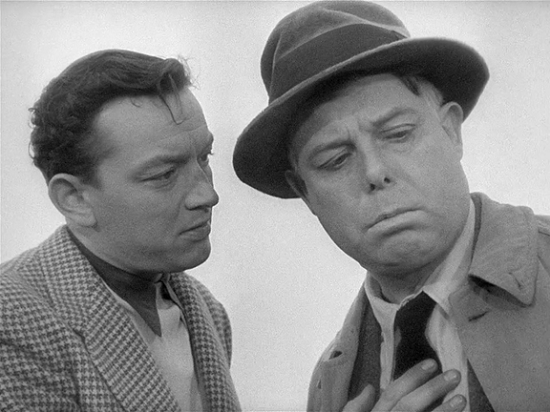 Director Jean Renoir also acts in the film, playing the pivotal role of an outsider (obviously a stand-in for the audience). His character's futile attempts to break into the "circle" and to bring about the well-beings of his friends suggest that it is often difficult to survive under the social order, let alone change it. 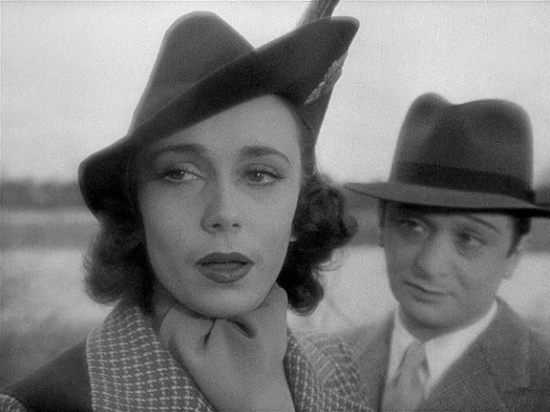 Jean Renoir's "The Rules of the Game" takes place on the eve of World War II at an aristocratic house party in an opulent chateau just outside of Paris where the overlapping `affaires d'amour' of all social classes are observed with a keen and compassionate eye. Renoir looks to the eighteenth-century world of Commedia dell'Arte and Mozartian opera, and seamlessly integrates farce with tragedy, using a classical form to offer his audience a profound and multifaceted parable on the disturbing realities that underlie the veneer of contemporary French society. "The Rules of the Game" can be viewed also as a light farce involving the couplings - and de-couplings - of an assortment of weekend guests staying at the chateau of the Comte de la Cheyniest (Marcel Dalio). 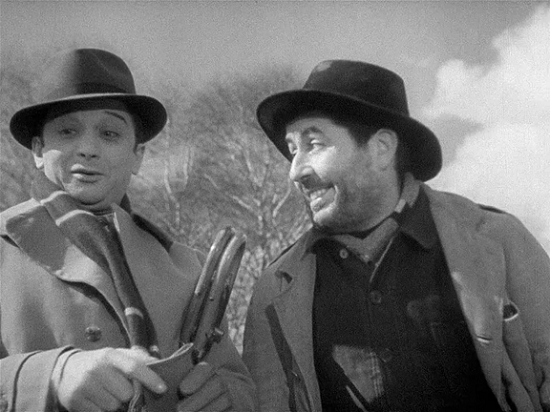 Without knowing any other context, the film can be enjoyed on this level: Renoir's writing (he co-scripted) is witty and his direction is elegant and sublime. His fluid long-shots make you feel like you're gliding along in this rarified - though topsy-turvy - world; and his open approach to the actors is suffused with generosity. He never allows us to focus on one particular person, or couple, because, in this social world, "everyone has their reasons" and everyone's actions bounce and intertwine with everyone else's. It is the middle-class aviator, André Jurieu (Roland Toutain), who embodies the film's central conflict between the private passions and a sense of obligation to a larger social body. Right at the outset of the film, he violates the unwritten "rules" of social propriety by declaring to a radio reporter his disappointment that the woman he had been courting, Christine de la Chesnaye (Nora Grégor), is not present at his reception after completing a record-breaking flight across the Atlantic. His skill with the advanced technology of aircraft is not matched by an ability to deal with people, particularly in matters of love. Indeed, André's careless and unmediated show of desire for a highborn lady not only transgresses the received law of proper social conduct but of traditional class distinctions as well. Other characters also entertain desires that come into conflict with the social order. 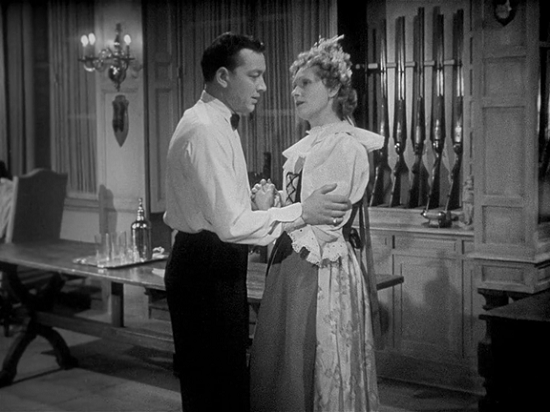 The Marquis, Robert de la Chesnaye (Marcel Dalio), is having a fling with Geneviève de Marrast (Mila Parély) behind Christine's back, and Geneviève is sincerely attached to him and wants for them to go away together yet he maintains the proper outward appearance, and out of politeness and consideration for his wife's feelings, keeps up the charade that their affair is a secret in spite of the fact that "everybody knows." Christine observes her husband's liaison with strange amusement, commenting that they look "very interesting" together - for her adultery is a form of entertaining spectacle. 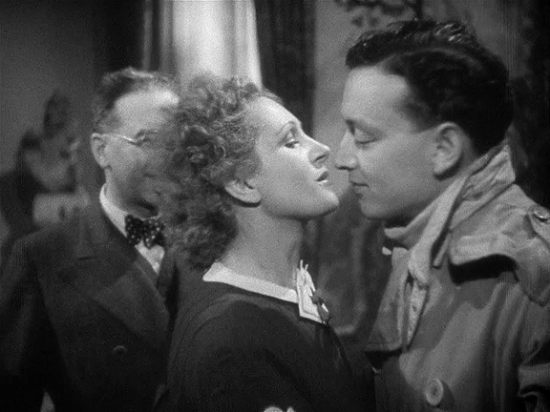 But even Robert loses his cool at one point when he discovers Christine and André together in the gunroom and punches the aviator in the face. Strangely enough, it is only the classless Pandarus-figure, Octave, who can get through to the serenely unattainable Christine because he seems to have no particular desires of his own; he only concerns himself with regulating the desires of others. Octave confesses that he is "a failure" who merely pleases his friends so that he may live off their wealth like "a parasite." Apparently, Christine loves him for his understanding that everything in life, every social relationship, is really a lie of some sort, and that all desire and romantic fantasy is, at bottom, a blind form of narcissistic self-deception. It seems that the two of them have come to understand the law that underpins desire - “The Rules of the Game” - all too well. 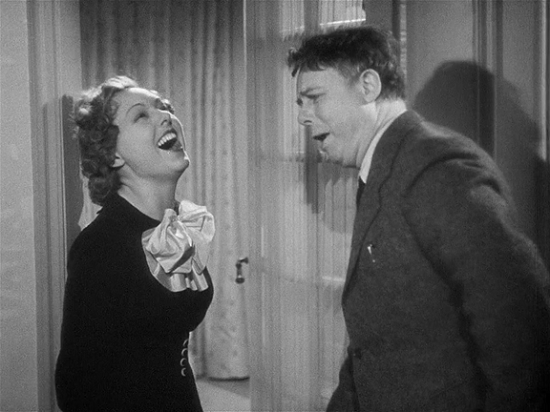 Even though it looks like it will be a serious character study from the outset, there are actually quite a few moments that border on slapstick. But there is an increasing gravitas to the proceedings sparked by the actual game hunt where we see rabbits and pheasants slaughtered mercilessly indiscriminately by the guests. Renoir obviously wants to show us the unconcerned attitudes of the rich encapsulated in one defining scene, and it works. This sequence can also be seen as a harbinger of the bigger holocaust that is about set in. From that point, the various deceptions start to unravel until André makes a serious-minded proposition to Christine that amounts to breaking the rules of their elitist existence. It isn't too surprising that tragedy subsequently occurs as such violations are intolerable among the upper crust. “After all, the terrible thing about this world is that everybody has his reasons”, muses the rotund Octavio at one time. It’s a very famous line that has been interpreted by some as a summation of the great French director’s worldview, especially since Octave is played—in a performance of boisterous energy—by Renoir himself. “The Rules of the Game” is the fullest, most lucid expression of a moribund age. It is the most advanced expression of prewar French realism. The List, you suggest is very helpful for the film learners like me.